Wow, that’s close to home. 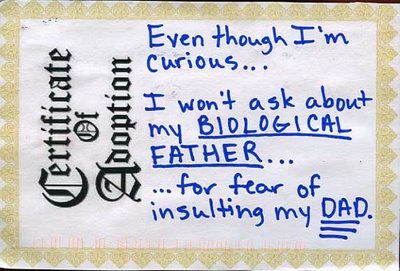 Unless of course, your A-father rejected you – then when you find your bio dad, he does the same. Father’s Day can be a drag in that case. I remember that feeling when I was about 7 or so. Except it wasn’t a national day. It was just a regular day.